As I was dipping my brioche in the delicious egg-y mixture, Jake (our Editorial Director) comes up to me and asks, “How long are you soaking your bread for?” A question that never even occurred to me, but made me wonder in a true Carrie Brandshaw moment: Is French toast a simple breakfast dish or is it a way of life? A question I only could answer with a recipe by Jenny Goycochea from So Much Food Blog: this ethereal Wild Blueberry Rosé Syrup and Brioche French Toast! This week, I wanted to switch things up and make something y’all could make in the morning for your friends, roomies, lover(s) whoever. I mean also for yourself, but do people make french toast Han Solo? I digress, and I also have a confession to make. I never eat breakfast. I wouldn’t go as far as saying I hate it, but I just don’t understand it. Don’t get me wrong come Saturday I’ll be brunchin’ like a bo$$ and best believe the bellinis will be flowing! But back to my confusion over breakfast, why have eggs when you can have a burger? Why have an omelet when you can have a salad? 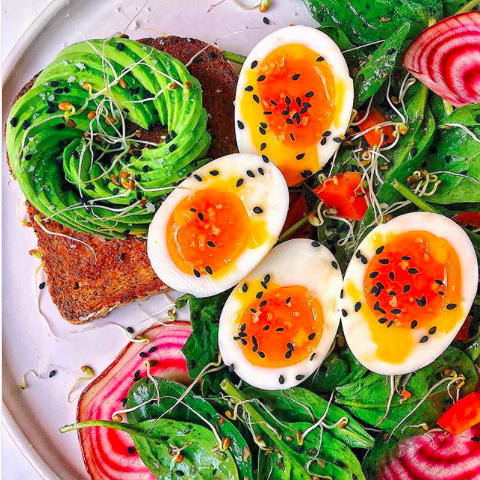 I think my main beef with breakfast is that I do not like to be told what to do or what to eat and breakfast food is literally the definition of a restrictive menu! 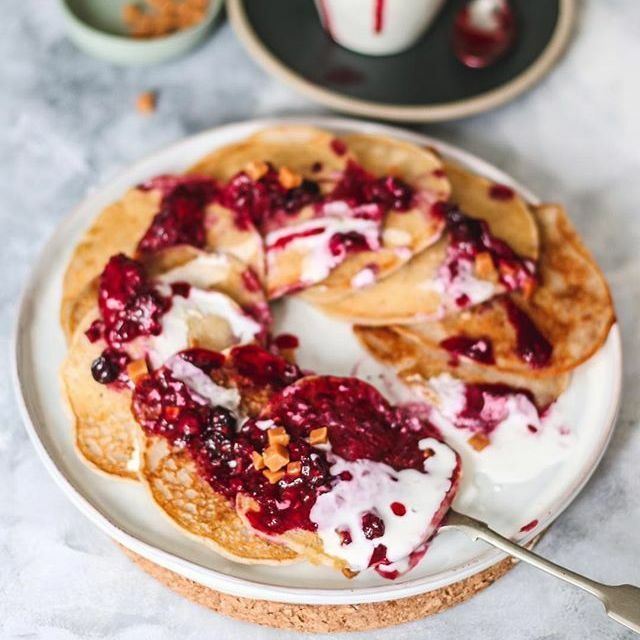 Things started to change when I tried Sara Tane’s Vanilla Almond Milk Pancakes with Almond Butter Drizzle. They were pillowy soft and tasted like sunshine. So, I was open to trying new things and exploring the wide world of breakfast! Queue this Brioche French Toast with Wild Blueberry Rosé Syrup! I have literally NO NOTES. This recipe was bomb(dot)com and I loved every bite. It was so easy to follow and the end result is beyond stunning, I hope you make it! -- Sahara Bohoskey, Community Manager. Want more Easy Breakfast and Brunch Recipes? Check out the two below! 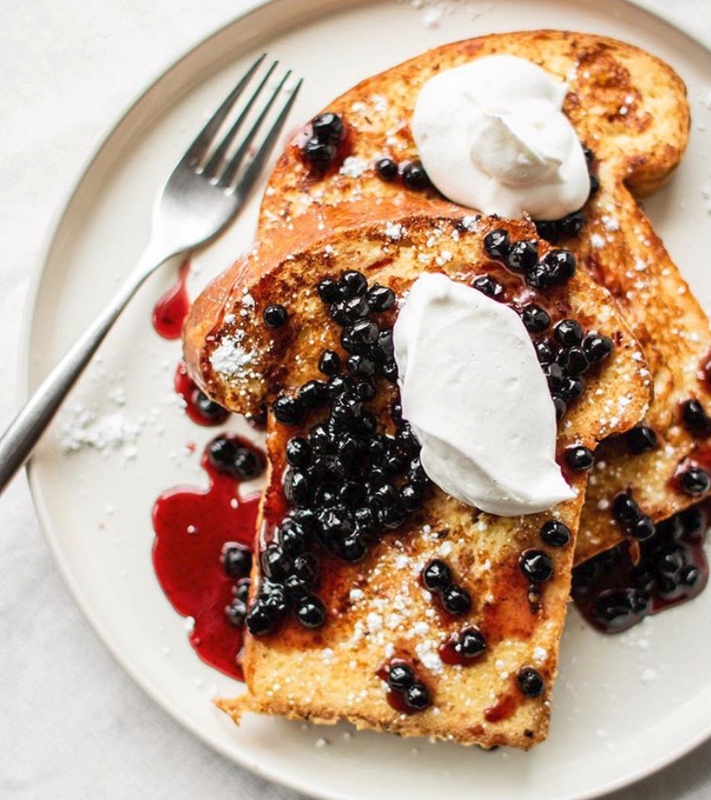 Thank you to Jenny Goycochea for sharing your delicious Wild Blueberry Rosé Syrup and Brioche French Toast recipe!